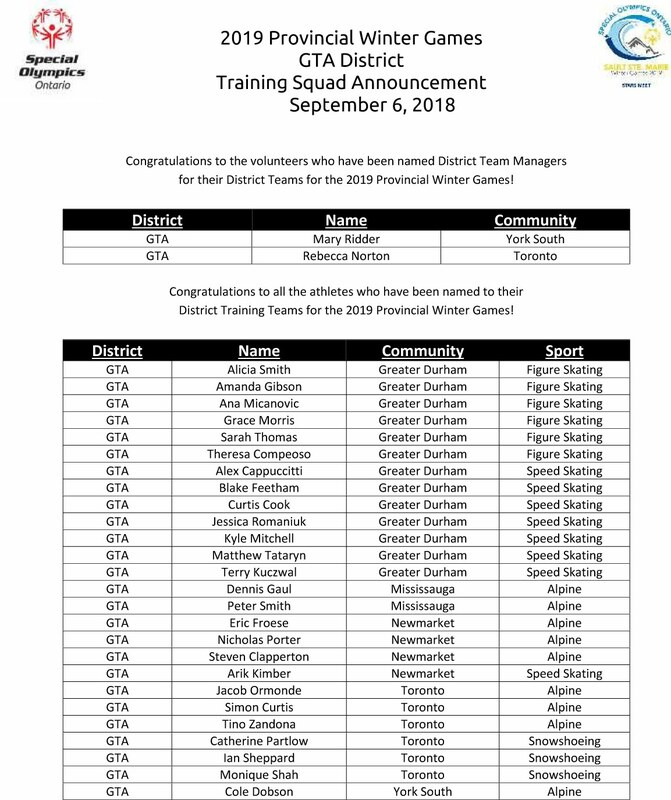 Welcome to the GTA District Site! Special Olympics Ontario (SOO) is a community-based organization. Its primary instrument of program delivery is through community sports clubs, which are operated by a team of dedicated volunteers and coaches. These programs give athletes an opportunity to train twelve months of the year in order to compete and test their skills against athletes from around the country. Special Olympics Ontario, at all levels of the organization, strives to involve families and care providers of Special Olympics athletes to participate and share in the joy of our programs. Special Olympics can provide family members with a sense of pride in their athlete, a sense of accomplishment through sports and the hope of an exciting and bright future for the individual as an athlete. Please note that after an extensive review of all of our provincial sport policies and in consultation with our stakeholders and volunteers, Special Olympics Ontario has updated a number of current policies and created new policies put in place as of February 23rd, 2018. There were a number of factors that went into the consideration of these new changes to our policies. To view these factors and for more information regarding the updates and new policies, please read the attached Memo. All new and updated policies can be found on Special Olympics Ontario’s Information Portal.